The entry about this day in Ralph Milton’s blog “Rumors.” Go to http://ralphmiltonsrumors.blogspot.com/2009/04/preaching-materials-for-april-19th-2009.html . Scroll down to “Mirabile Dictu!” for wonderful collection of international jokes. Also check out the reader’s theater idea for reading the gospel and epistle with a sense of humor. If you have celebrated Holy Humor Sunday, tell the rest of us about it in Comment here or on the Worshiping With Children Facebook page. Especially if you buried the Alleluia! for Lent, remember to include lots of them in today’s singing and praying. 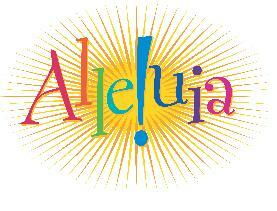 If there was not time to allude to Alleluia! banners in Easter Sunday worship, do so today. Practice saying the word together, define it, explain why it is on the banners and how long the banners will stay in place. Connect Alleluia! 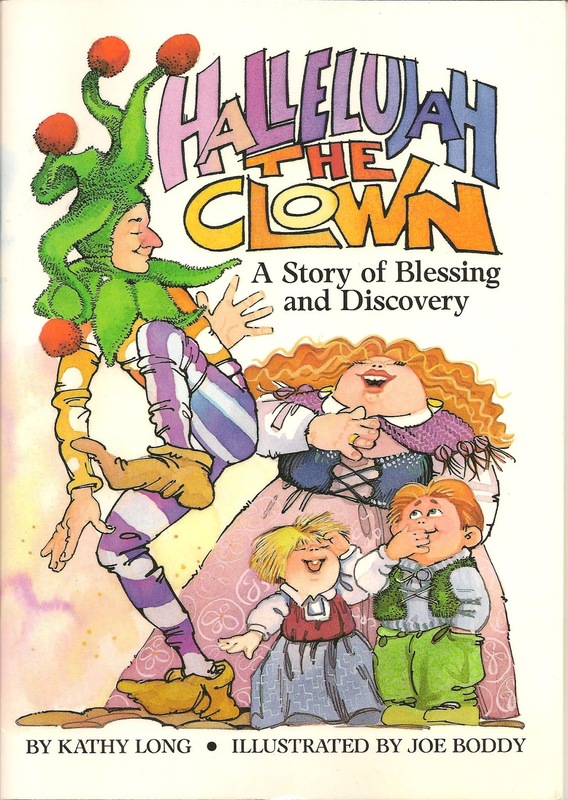 to both Easter and Holy Humor Sunday with, Hallelujah, the Clown, by Kathy Long. A court jester named Hallelujah tries to be good at a series of things (juggling, dancing, singing, etc) but everyone laughs at him. In the end God tells him that his gift is making people laugh and that it is an important gift. U Because they will not get all tangled up in adult concerns about socialism, children can use these verses to explore the ways people in the church take care of each other. Identify specific ministries of your congregation that are your way of doing what the first Christians did. Interview one or more individuals who participate in some of these ministries. U Read the passage just before the offering. Note the connection between what the early Christians did and the offering you collect every week. Tell about ways your congregation uses the money in the plate to love and care for others. Then, take up the offering. U Children love this psalm simply because it is the shortest psalm in the Bible. To highlight that fact, invite worshipers to find the psalm in their pew Bibles. Read it together. U Children are also grossed out by the idea of pouring oil over someone’s head and letting it run over his beard and down onto his collar. YECH! To get past this, explain that people in different times and places like different things. The psalmist liked using oil on his head. We prefer to rub good smelling lotion into our hands. 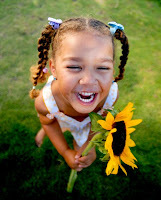 If the children are gathered around you, squirt a small bit of lotion into their hands for them to rub in as you talk. Enjoy smelling one or two of the hands, then reread the psalm. U This is the first of six consecutive epistle readings from 1 John. So introduce the book. Using the New Testament table of contents in your pew Bibles, identify the four books named John in the New Testament (5 books if Revelation includes John’s name). Briefly, tell how the books are alike and different. One is a gospel telling the story of Jesus. The others are letters or communications to other Christians. Explain that though we do not know much about the church to which John’s letters are addressed, we do know that they were having a fight. We’re not 100% sure what they were fighting about, but we know that John’s suggestions to these fighting Christians make sense in any fight – then or now. U If you are going to deal with John’s ideas about the incarnation in this text, take time to explore the significance of the name Jesus Christ. Point out that Christ is not Jesus “last name.” Jesus is an earthly human name. Jesus’ full earthly name would have been Jesus of Nazareth. Christ is a heavenly name or title. When we speak of Jesus Christ we are saying that Jesus was both fully human and fully God. U If verses 7 and 8 (If we say that we have no sin, we deceive ourselves, and the truth is not in us. If we confess our sins, he who is faithful and just will forgive us our sins and cleanse us from all unrighteousness. )are used regularly in your prayers of confession, highlight them today. Point out where, how and why you use them. Describe every worshiper in the congregation as a sinner coming with sins to admit to God. Walk through your ritual – the prayer of confession, maybe silence for personal confession, assurance of pardon and congregational response. Use some of John’s ideas in this text to explain what each part of the liturgy means. Then, invite worshipers to join you confessing your sins to God and hearing about God’s forgiveness. U This text is the gospel reading for the Second Sunday of Easter in all three years of the lectionary cycle. (Other readings vary from year to year.) 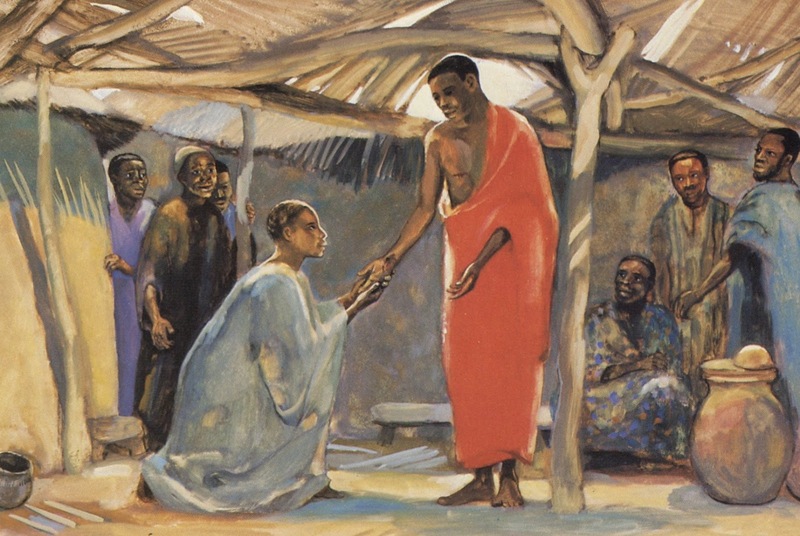 Go to Second Sunday of Easter (Year A) to find suggestions for linking the forgiveness in this story to the forgiveness phrases in the Lord’s Prayer, a great quote from Laurel Dykstra, and suggestions for using some great art depictions of Thomas and Jesus.
? ! ? ! ? ! ? ! ? ! ? ! ? ! ? ! ? ! ? ! ? ! ? ! ? ! ? ! ? ! ? ! ? ! ? ! ? ! ? ! ? ! ? ! ? ! ? Reader One (probably you) invites the children to come forward to help with the gospel reading. Imagine with them that they are the disciples on Easter Sunday night hiding out in a locked upper room, wondering about what the women said about Jesus’ tomb being empty, and still afraid the soldiers would come for them too. Thomas joins the group off to one side to read this line. Then sits with the group as Reader One continues. U This passage offers several clues to what Jesus was like after the resurrection – he can appears inside a locked room, he can be touched (he is not ghostly), he still has the wounds, and still loves them and explains what is going on to them. Next week he will eat fish. Children are curious about all this. Take time to ponder with them what they think Jesus was like after the resurrection, being open to new ideas and affirming the mysterious part of it all. Either include this discussion/reflection in the sermon. Or, introduce it before reading the scripture. In the latter case listeners are instructed to listen for clues about Jesus after the resurrection raising a hand each time they hear one. In an informal setting stop at each one to clarify the clue and ponder it briefly. U If want to encourage children to ask their questions, we must not label Thomas a doubter. No amount of explaining can make doubter into a positive adjective – especially in this story. So describe Thomas as a curious person who wanted to see for himself what others had already seen. Recall what it is like when everyone is talking about an exciting event that you were not at. Insist that Jesus welcomed Thomas’ questions and ours. There is no honest question God/Jesus cannot handle. U To celebrate Thomas’ questions turn this into Questions Sunday. 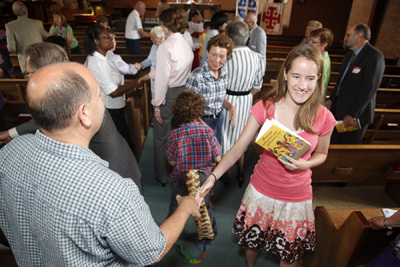 Collect questions about the Easter stories and God from the whole congregation. Take them verbally or invite people to write them on pieces of paper to put in the offering plate. Today read through the questions. Celebrate them. Elaborate on them adding related questions. Even, ask for clarification on questions. Do NOT answer any of them – even if you can. Instead promise to deal with them during the coming weeks. If there is high interest in this, you might even print the questions in the newsletter or on the website. As you work through the Easter season, point to the question/s that you are working with at any given point. 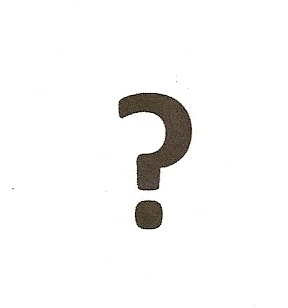 I know there are some good books about God questions children ask, but can’t think of any right now. Someone out there, speak up!! OK what about Why Did God Make Bugs and Other Icky Things, by Kel Groseclose? In this short passage Jesus gives the disciples (and us) two Easter gifts (the Holy Spirit and peace) and one Easter task (forgiving others as God has forgiven us). U If your congregation regularly passes the peace in worship, before you do so today connect the ritual with this story. We are being like Jesus passing peace to other people. We don’t just say “Hi.” We say, “The peace of God be with you.” It is a wish or prayer for the other person. We can say it because we know God loves and forgives both of us. Then invite people to pass the peace to their neighbors. U Go to Second Sunday of Easter (Year A) for ideas about tying “forgive us our debts as we forgive our debtors” to Jesus’ Easter task of forgiving others. Psalm 117 is the shortest Psalm. There are other reasons to love Psalm 133, like the beautiful imagery of oil running down an adult's head, getting on his robes. Hilarious for kids! My goodness! You are right - and just corrected a long held notion. Thank you! You are also right about the hilarity of enjoying this image with children. They love it!